Congratulations, you’re hosting Thanksgiving! Family and friends will soon be sharing laughs in your home, filling rooms with rich, new memories. While this prospect is exciting, it can also feel daunting. Getting everything organized and on the table in time can be a challenge, even for seasoned hosts and hostesses. We’ve found that planning ahead as much as possible helps make the whole process smoother – from menu planning to grocery shopping to day-of cooking. It also allows you to split the preparation into small, manageable tasks so you can do little things here and there rather than trying to squeeze a lot of work into just a few days. Plus, the more you get done beforehand, the more time you’ll have to spend with loved ones on Thanksgiving day. So to help guide your planning, we’ve put together a few pointers and a timeline. Take a peak! • Ask for help. You don’t have to break your back doing it all by yourself. Ask guests to bring a side dish or serving utensil (you can never have too many serving spoons). Even a bottle of wine from Cousin Rachel means that’s one less thing you’ll have to think about. • Decide what to make from scratch and what to buy. Focus your time and energy on a few homemade or semi-homemade dishes and buy the rest (or ask for help). • Prep ahead as much as possible. Repeat after us: prep ahead, prep ahead, prep ahead. Plan to prep and even fully cook some dishes - like stuffing, casseroles and pies – beforehand so you can just warm them up on Thanksgiving day. You’ll thank yourself later, especially if you’re working with limited oven, stove or counter space. Finalize your guest list. Get a head count so you have an idea of how much food you’ll need to make. Take inventory of your supplies. This is also a good time to check if you have the tools to make and serve your dishes: a gravy boat, large serving bowls, a deli platter, pitchers, etc. If you’re missing something, put it on your shopping list or ask a guest if they can bring it. Delegate dishes and drinks. 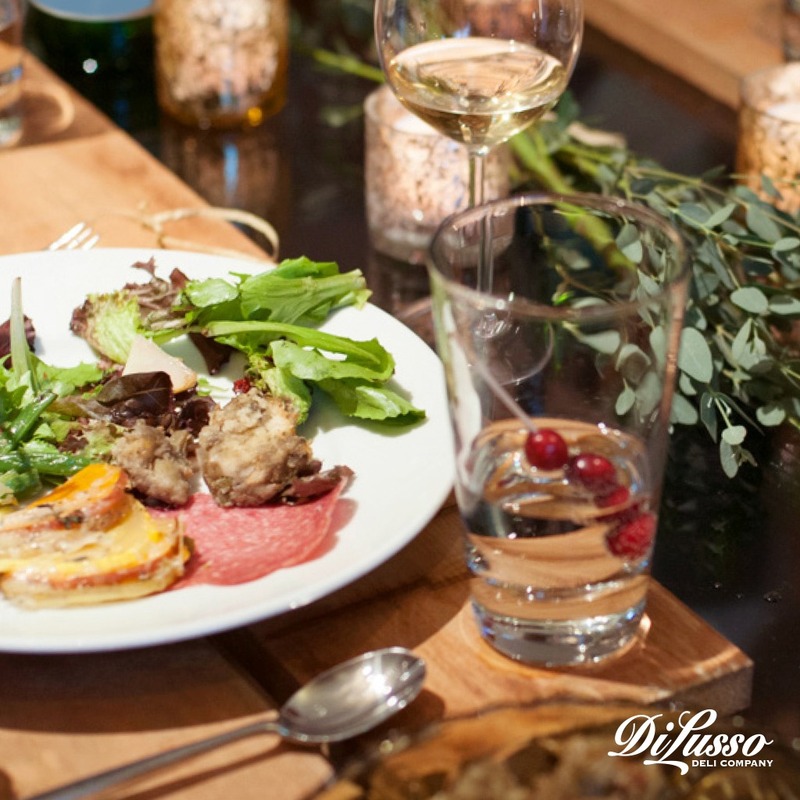 Once you have your menu nailed down, start asking guests to bring dishes and/or drinks. It’ll make your life much easier and guests will feel good knowing they’re helping make your turkey day a success. If you’re asking guests to bring a food items, remind them to bring a serving utensil for that dish. Create your cooking schedule so you know when to start prepping and cooking your dishes. Try to schedule the lion’s share of the work in the days leading up to Thanksgiving. Budget extra time just in case - knock on wood - anything takes a little longer. Remember to block out time for you to get ready (shower, get dressed, etc.) and relax before guests arrive. Put this schedule somewhere you can easily access it, whether that’s on your phone or taped to the refrigerator. Think about décor. 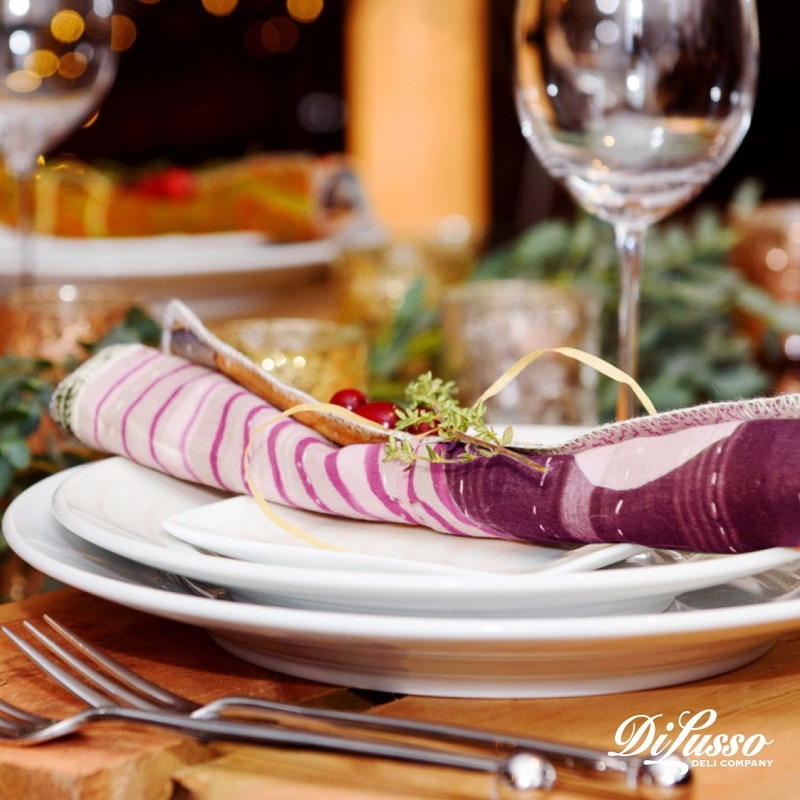 Décor can be as simple or intricate as you like, but it’s good to start thinking about how you’ll dress the table now so you have time to purchase anything you don’t already have. Consider how seasonal food, like cranberries, might become part of your décor. For more decoration inspiration, check out our Setting the Perfect Thanksgiving blog. Buy nonperishables. This includes your typical canned goods and frozen items (puff pastry, breads, etc.) but also condiments like salad dressings and festive mustards like our cranberry honey mustard. Now would also be the time to pick up raw cranberries and baking goods like spices, flour and sugar. Buy drinks. It’s good to have options like milk, juice and soda on hand for the kids. For the adults, alcoholic beverages like wine are always appreciated. Another bit of advice: Pinot Noir goes great with many turkey day foods. Plan seating and serving methods. Will you have a more traditional setup where everyone sits around a table and passes dishes? Or are you planning on going buffet-style? Maybe a mixture of both? Are you having a kid’s table? Nail down answers to these questions now to make sure you’ll have enough room and seating for your arrangement. Buy your turkey. Before placing it in the freezer, take a quick peek at the directions so you know when to start defrosting it. Tidy the house. Clean whatever needs to be cleaned in preparation for guests - dust, vacuum, sweep, launder linens etc. While you’re making the rounds, check to make sure you have enough of the necessities like hand soap, paper towels and toilet paper. If you have any housemates (roommates, a spouse, children) in your Thanksgiving endeavor, this would be a good task to delegate. Clean out your fridge and freezer so there's room for the dishes you’re prepping beforehand and for leftovers. On that note, make sure you have enough containers to hold leftovers. If you’re planning to send some leftovers home with guests, check to make sure you have plenty of disposable containers like plastic baggies or plastic containers. Cook cranberry sauce if you’re preparing it from scratch. It keeps well when stored in the fridge. 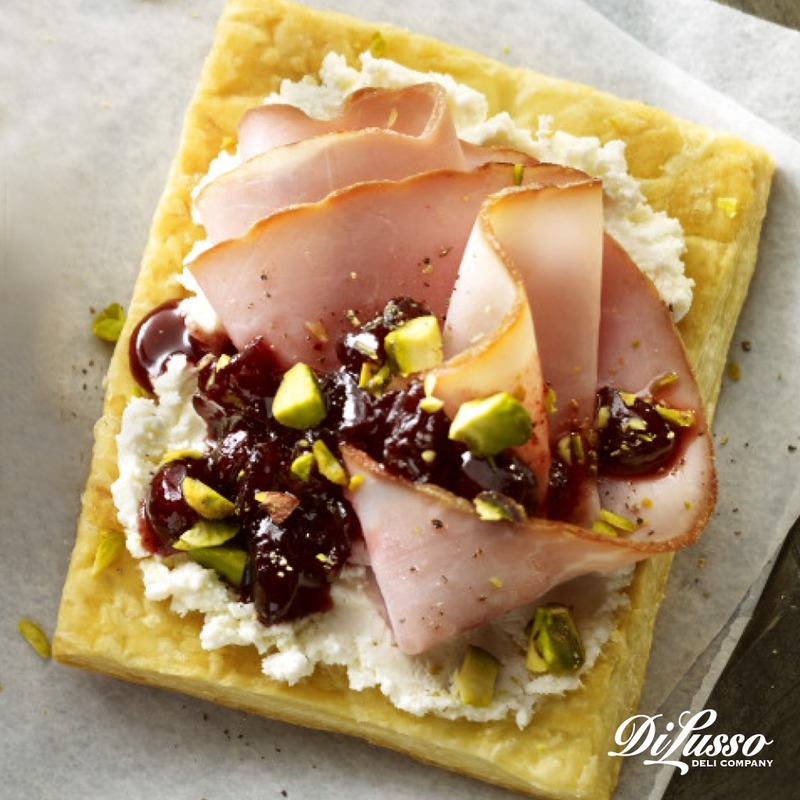 These Ham, Goat Cheese Cranberry Pastries and Havarti Cranberry Toasts are easy and delicious appetizers whether your cranberry sauce is homemade or store-bought. Make your final trip to the store to pick up perishable ingredients (like deli meats and cheeses, fruit and vegetables), containers for leftovers and any other last-minute items – hand soap, serving utensils, décor pieces, etc. Prep your salads. 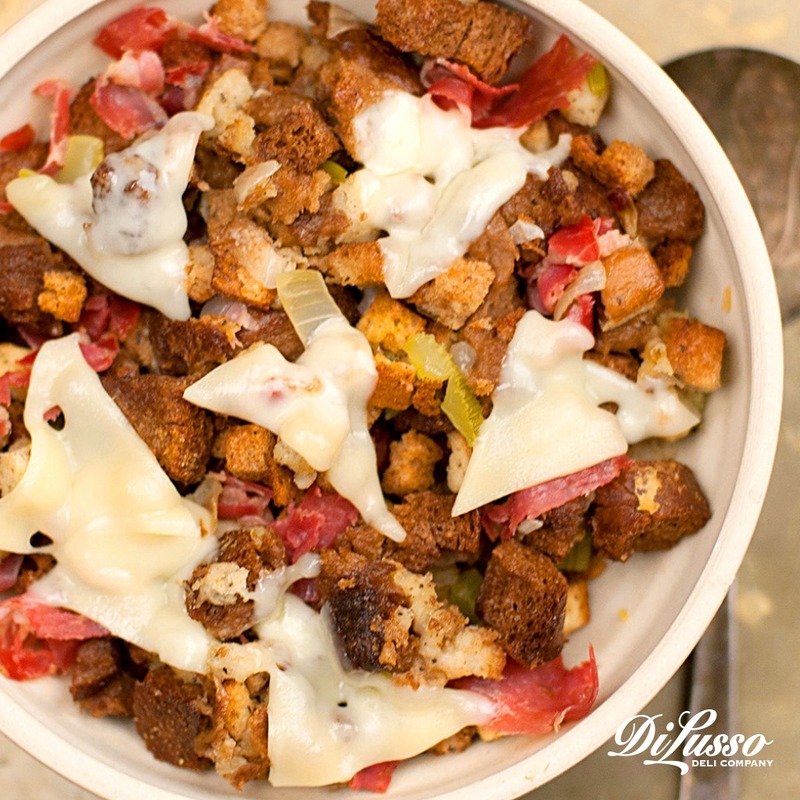 Toss together dry ingredients like lettuce, nuts, meat and cheese. Then just toss with dressing and any fresh fruit (if you’re making something like this Harvest Salad) the next day. Assemble deli platters. 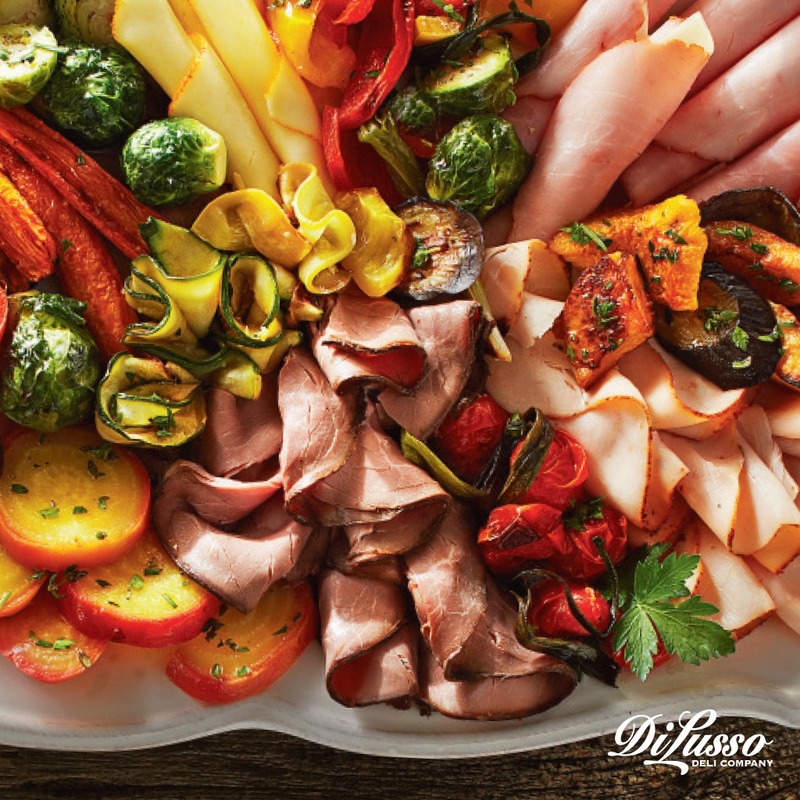 Here’s a quick reference guide to help you create a simple yet tasty deli platter. If you’re up for creating something even more flavorful and seasonal, try incorporating roasted vegetables to create this Fall Platter. Simply arrange your meats and cheeses today and then add roasted vegetables tomorrow. Cook dishes like stuffing and casseroles so all you have to do is warm them tomorrow before serving. These creative stuffing recipes featuring unique ingredients like pumpernickel bread, crispy strips of salami and walnuts are easy to make ahead of time. If you’re making our cornbread stuffing, slice the apples tonight and add them to the stuffing tomorrow. Bake pies and rolls if you’re making them from scratch. If you plan to serve them warm, simply pop in the oven for a couple of minutes before serving. Prep your produce. Slice raw vegetables that you’ll be cooking tomorrow, like onions, carrots and Brussels sprouts. Empty the dishwasher so you have room to stash the dirty dishes that will accumulate as you cook tomorrow and after everyone finishes eating. Set the scene. Arrange tables and chairs into the ready position. Lay out silverware, plates, drinking glasses and napkins. Stage your décor – centerpieces, place cards, candles, etc. Follow your cooking schedule. You’ve already nailed down the details, so all you have to do is follow your schedule. Enjoy yourself! This is your most important task. Laugh a lot, drink some wine and above all, find those moments of gratitude on this special day. 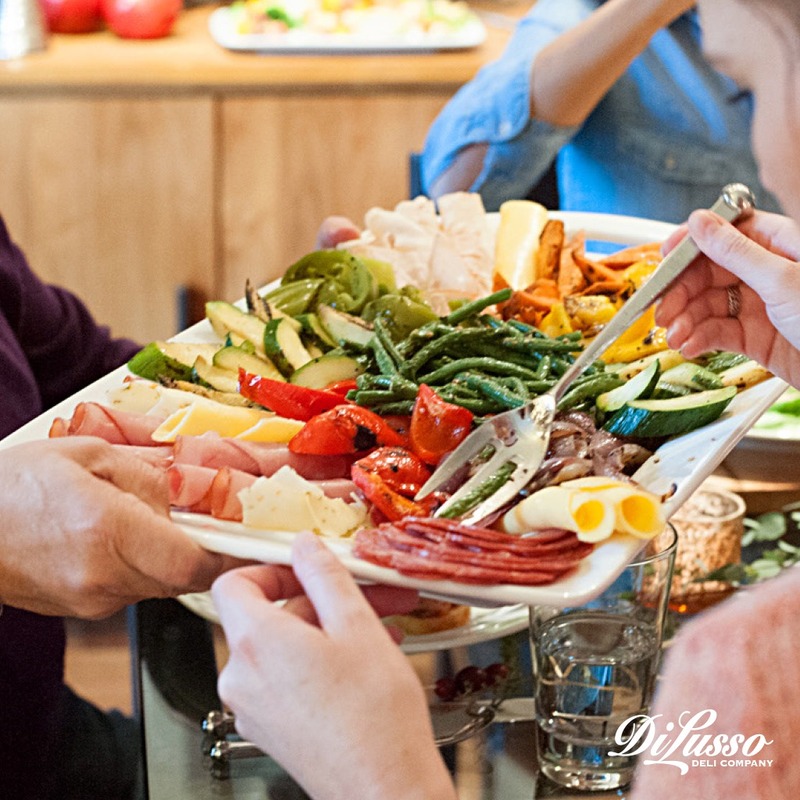 Take time to savor the delicious meal and warm memories you helped create in your home.